Sha..Your chances of passing the hair drug test depends on your smoking history and how precisely you followed the hair cleansing methods instructions and our recommendations. If you were a heavy user, we usually recommend performing as many Macujo methods as possible and using Ultra Clean shampoo on the day of the drug test. Good luck with your test results and let me how it went. If I took an E pill and a half last night, and have a hair test in like 2 weeks will it show?? I don’t take them, I tried it last night…. Q.. If you have only tried an E-pill once, then levels of Ecstasy in your hair should not exceed the cutoff levels. So, your chances of passing the hair drug test should be pretty high. If there is a history of drugs, including Ecstasy used during the last three months, I would need your full bio and usage history to make any other recommendations. If you have enough time until your hair drug test, I always recommend using a home hair drug test. This will show you if you can pass your actual hair drug test or not. Nick..The full five ounces of aloe shampoo can be used for many hair washes. If you need to stretch the aloe shampoo, you might try applying just enough shampoo to the first 1.5 inches closet to your scalp and just let it sit. Nick..According to the aloe shampoo instruction, you should wet your hair thoroughly, apply the shampoo and massage it into your scalp and hair for 10 minutes, working up lather and leaving it for a while. The most important part is covering the first 1.5 inches of your hair closest to the scalp. Nick..You should start using the Macujo method as many times as your hair and scalp can handle it 3 days prior to your hair drug test with the Ultra Clean shampoo used on the day of the actual drug test. So, you should start performing the Macujo method today (Friday) as your hair drug test is already this coming Monday. Just had the hair drug test today. I washed my hair at least once a day with the detox for 3 weeks straight, some days as much as three times. Prior to the test day I performed the macujo method 5 times leading up to the test day. On the day of the test I did the ultra clean and then went to go take the test. I’m hoping it was enough to pass the test but I’m not sure if there was much more I could have done to prepare. Thanks for all your help and will update results when I receive them from the company! Nick..Thanks for your update. For future reference, if you took a home hair drug test, you would have already known the actual hair drug test outcome now. Good luck with your test results. We are all pulling for you. Let me know how it went. Got the results and I have been accepted to start my new internship! This method definitely works if you follow the instructions carefully. Thank you Detox John for all your help throughout the process. I had a extreme toxin level and it still does the job, so anyone is able to do this and get the best chance to pass their test. Good luck everybody! Nick..Congratulations with your test results and new internship!! !And thank you for sharing your story and results. This will definitely help other users to achieve their goals. I have been using detox for the past 3 days and my test isn’t for another week. I smoked lightly 45 days ago and have smoked 3 times total in the past 90 days. Based upon your experience do you think I have a good chance to pass. Jeffery..I would recommend to keep using aloe shampoo a couple of times a day every day until your actual hair drug test date. It is imperative to follow the shampoo instructions to the letter. And don’t forget to use the Ultra Clean shampoo on the day of your actual drug test. As you smoked only 3 times during the last 3 months, after performing Aloe Toxin Rid Treatment method for 10 days, your chances of passing the hair drug test should be good. As you have enough time until the hair drug test, I would recommend using an express home hair drug test. This will show you if you can pass your actual hair drug test or not. Using a home hair drug test helped many users to figure out where they stood before their actual drug test so they could make more informed choices as to what direction to take. Hi so I just found out I will be getting a hair test in the next month or so and am quite nervous.. the last day I smoked was Feb 26th smoked pretty heavy that day as well. I ordered the Detox and Ultra Clean along with a hair testing kit just in case. I had a couple questions the first being how many days should I use the Detox before the test since I’m not entirely sure how long until my test? 2nd how many days should I use the Detox before my test? and once I use the Detox for lets say 5 to 10 days or more if need be would the THC be out of my hair permanently? (Still going to use the Ultra Clean on the test day) and finally would the Detox and Ultra Clean work better for shorter hair rather then longer hair? Would appreciate a quick response. John..I understand why you’re nervous about your upcoming hair drug test. However, you should have enough time to cleanse your hair properly. We usually recommend a combination of the two proven hair cleansing methods: the Macujo and Aloe Toxin Rid Treatment methods. You should start cleansing your hair with aloe shampoo a couple times a day for some time and then use the Macujo method as many times as your hair can handle it 3 days prior to your hair drug test and with the Ultra Clean shampoo used on the day of the drug test. If you need to stretch the aloe shampoo, you might try applying just enough shampoo to the first 1.5 inches closet to your scalp and just let it sit. I would not worry about a haircut unless you need one. So, I would focus on cleansing the 1.5 inches of hair closest to your scalp. As you have enough time until your hair drug test, I would highly recommend using an express home hair drug test after performing any hair cleansing methods. This will tell you if you can pass your hair test or not. Keep me updated and if you have any more questions, let me know. So I just started smoking about three weeks ago and have smoked one bowl almost every night since. Before that I haven’t smoked in years… A job opportunity has just came about… and they do a hair follicle test for 6 months back. I’m just trying to figure out what method would work best for me.? I don’t really want to damage my hair. So if I didn’t use macujo method do I still have good chance of passing if I only use the other one.? And what is the success rate of this product.? Miranda..So far we have seen that users have the best outcome with their hair drug tests when they combine the two proven hair cleansing methods: the Macujo and Old Style Aloe Toxin Rid Treatment methods with the Ultra Clean shampoo used on the day of the drug test. You can try using only Aloe Toxin Rid Treatment method though. Just make sure you wash your hair with the aloe shampoo at least a couple times a day following the product instructions to the letter. If you need to stretch the aloe shampoo, you might try applying just enough shampoo to the first 1.5 inches closet to your scalp and just let it sit. The success rate of the Aloe Toxin Rid Treatment method is 90% plus. You must use the correct aloe shampoo and follow the method instructions and our recommendations. If you have enough time until your hair drug test, I would highly recommend using an express home hair drug test after performing any hair cleansing methods. This will tell you if you can pass your hair test or not. I recently accepted a job offer back at the beginning of March which I knew would be requiring a hair follicle test upon employment. I immediately purchased the aloe shampoo which came with the ultra clean three step box. I instantly started using the shampoo regularly. The last day I smoked marijuana was March 9th, and when I was smoking, it was normally once a day, at night, sometimes it was twice a day but I had cut back a lot in the previous months. Throughout the month of March and part of April, I did the macujo method many times, sometimes just using the shampoo to wash my hair. I wasn’t sure when I would be having the test so I kept doing it regardless. I also cut my hair almost two months ago and had dyed it twice in between that. I ended up accepting another job offer from the same place last week. This past week I had my hair follicle test. The morning of the test I did the macujo method, and then finished with the ultra clean application, followed all the instructions pretty thoroughly. So it had been almost 2 months since I quit smoking and had used the shampoo and the mac method quite a few times in that timespan. In your opinion, do you think I’d have a good chance of passing the hair follicle test? Michelle..Your chances of passing the hair drug test would be much higher if you performed the Macujo method at least 5 times in 3 days closest to your hair drug test. We usually recommend this approach for everyday users in order to avoid hair recontamination even they have stopped smoking for a while as a significant amount of THC metabolites are still stored in their body fat cells. Hopefully as you performed many Macujo methods during a prolong period of time and at least one time before you test, it would have been enough to drop your THC-COOH levels below cutoff levels in your hair. I was clean for a couple weeks , slipped up and smoked like half a bowl then found out I had a hair follicle drug test in 5 days . I haven’t smoked and I have 3 days til the test Ima do the macujo method (detox and all) 5x everyday leading up to the test maybe more if I can im 5,8 about 150 pounds what do you think my chances of passing are ? Alexid..You should perform the Macujo method at least 5 times in 3 days closest to your hair drug test. If your hair can handle it more is better. I would try to get at least 8 to 10 washes in. If you experience a dry or red scalp as a side effect of the Macujo method, you might try using a hair conditioning product to ease the discomfort. However, please note it is highly advisable to wait at least an hour before applying any hair conditioner. I would recommend adding besides the Macujo method to wash your hair with old style aloe toxin rid shampoo a couple times a day as well. 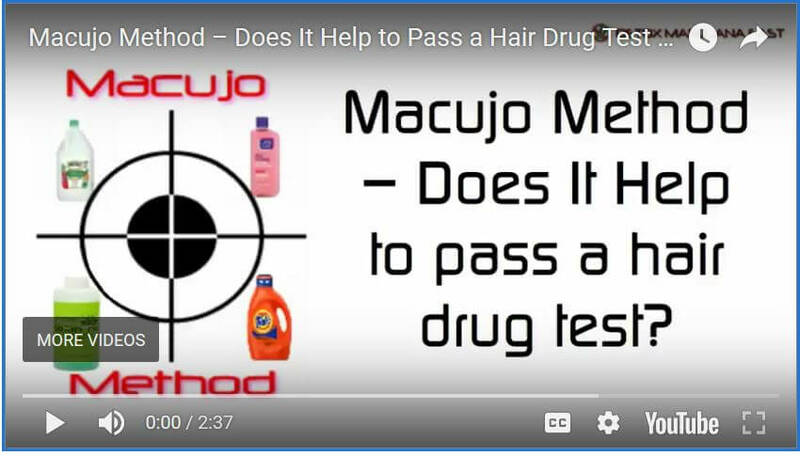 If you follow the Macujo method’s instructions and our recommendations to the letter and use the proper components, your chances of passing the hair drug test should be good. Good luck with your test and let me know how you did. I’m a daily smoker, 3-4 bowls a day. I was clean for 7 days. I did Majuco method 7 times within a 4 day period prior to my test. Used the Ultra Clean the day of the test. Relieved7.. Congratulations with your test results!!! And thank you for sharing your story. Your feedback will be extremely helpful for other users. Hi, I am a nervous wreck! An amazing job opportunity fell in my lap at the end of March. Prior to that it was probably 2 weeks that I took a hit off a one hitter MAYBE twice in a weekend. And I would estimate possibly a couple of hits in February…literally one hit per session. So last Tuesday I was offered the position and told the whole world and then on Wednesday bam! Was told I would be taking a hair test. I had Aloe/Ultra Clear sent over night and got 2 washes in Thursday night and one Friday Morning. On Friday night I started the Macujo(sp) method. Once Friday night, twice Saturday and twice Sunday. I did the Ultra Clear on Monday then went and had 3 patches of hair cut from my head…ugh! What do you think about my chances of passing? I have been physically ill worrying about this! This is crazy..If you followed all methods instructions and our recommendations to the letter, used the right products and considering that your THC toxic exposure was pretty low, I think you have a good chance of passing the hair drug test. Good luck with your test results. Let me know how it went. Just wanted to update. Just got the email that I’m all clear! I don’t know if I fell in the low user loophole or if the treatments worked. I am so glad I don’t have to worry anymore. I won’t have to worry about it ever again. No more for me! Lesson learned! Lol! Just got your update. Congratulations with your test results and your new job!! Thanks for sharing your story. Thank you so much and THANK YOU for this thread!!! Mr carmak..I would recommend doing another round of the Macujo method tonight and tomorrow morning using Ultra Clean shampoo. Good luck with your test tomorrow. And let me know how you did. Hi. Quick question. If you are going bald and have to use hair from your beard. Would the time frame be the same as for getting the toxins out? Would 3 days of being clean and doing BOTH TREATMENTS atleast 5X increase your chances? Or because it’s facial hair, it would be compared to body hair and have more thc stored in your facial hair? Hellp..As facial and head hair grow approximately at the same rate, the time frame for the cleansing would be the same. It is a different case for body hair which grows slower than head hair. If you were a light/moderate user, 5 treatments of the Macujo plus Aloe Toxin Rid Treatment should significantly increase your chances of passing the hair drug test. If you were a heavy user, 8-10 treatments would be more effective. Good luck with your test and let me know how it went. Hello! I will be honest I did about a half gram of cocaine 2 weeks ago and found out I might have to take a hair folicale in 2 weeks if I followed the aloe treatment for the 7-10 days do you believe I could pass? Jake..Cocaine is the toughest substance to cleanse from the hair. So, I would recommend completing a combination of two methods ( Macujo and Aloe Toxin Rid Treatment) in order to increase your chances of passing the hair drug test. Please read more details about these methods with our recommendations here. As you have enough time until the hair drug test, I would highly recommend performing a home hair drug test after completing the two methods. This will show you if you can pass it or not. Hello, Purchased the aloe shampoo and the ultra clean! A bit nervous but your words have helped! I have taken 1 puff July 8th and one small weed brownie (size of fingernail about 8mg of thc June 22nd) but other than that clean. I purchased the aloe toxin rid method goods last friday and have been using it 1 time everyday since (total total 4 days so far)…also african american so I know my hair is a bit tougher to open up. I hope the combination of rare user and low body fat will be on my side, but also the proven method also..what do you think? Mag..I think your chances of cleansing your hair properly and passing a hair drug test are pretty good if you follow the method instructions to the letter. I would recommend adding one more wash aloe toxin rid shampoo every day. To be on the safe side, I always recommend using an express home hair drug test if you have enough time until your hair drug test. This will show if you can pass it or not. Daily pot smoker who will have been clean for 8 months exactly on the day of the hair test. Will have been using detox as a body wash for at least 9 days by then, multiple times a day, and Ultra Clean on the day of the test. What do you think my chances are of beating the hair test? Lex Luthor..If you abstained from marijuana for 8 months and had a regular hair drug test (3 months history check), your chances of passing the hair drug test should be pretty good. Hi! So i just found out i was getting hair tested on friday… I have used cocaine and some other substances less than 24 hours ago… I overnighted the detox and shampoo and was planning on doing the macro method as well… my items should come in tomorrow. is it possible for me to pass my test if i follow the instructions and wash my hair 8-10 times tomorrow? PLEASEEE tell me that will work! also please give me any suggestions if possible since i only have 1 and a half days till my test!!! Thank you! Sarah..If you did not use any prohibited substances during last 3-4 months and used cocaine and other substances once 24 hours ago, you have a good chance of passing the hair drug test as it usually takes from 3 to 7 days for the drugs to make their way into your hair follicles. In this case, to be on the safe side, I would recommend performing just several Macujo methods and Ultra Clean shampoo on your drug test day. However, if you didn’t abstain from cocaine and other drugs during last 3-4 months, you need to perform as many Macujo methods as your hair and scalp can handle with Ultra Clean shampoo used on your drug test day. As you don’t have much time left until your hair drug test, this will be a pretty challenging process. However, if you follow the hair cleansing method instructions correctly and use the right components, your chances of passing the hair drug test should be good. Good luck with your test and let me know how you did. I am pulling for you. I drank heavily for about 4 days 2 months ago and I bought the shampoo using it 7 days before my hair test. With these facts will I be able to pass with just the detox, it should I do the majuco method too. Brittney..In order to increase your odds of passing the hair drug test, I would recommend performing a combination of the Macujo and Aloe Toxin Rid Treatment methods and with Ultra Clean shampoo used on the day of the test. This will give you your best odds at passing. If I am using the aloe shampoo daily up until the day of my test (7 days), it is okay to use my at-home conditioner after each wash? Or will this tamper with the aloe shampoo affects? Mary..You can use a hair conditioner. But you have to make sure that you wait at least an hour after the Aloe Toxin Rid Treatment application so as not to alter the effects. hi infrequent user i had a hair test today the last time i smoked was 21 days ago & maybe a few times before that as well with a marijuana cartridge. i washed my hair with the aloe toxin rid twice the day before my test. then the ultra clean the day of my test. what are my chances of passing? Nicole..If you washed your hair with Aloe Toxin Rid shampoo twice a day at least for 5-7 days and used Ultra Clean shampoo on your hair drug test day, your chances of passing the hair drug test should be good. passed my hair test for my job offer. but had to do a random hair drug test today. the aloe toxin wash that i used would it have permanently removed the thc?? and what are my chances of passing again?? i havent smoked since i used the shampoo. Nicole..Aloe Toxin Rid shampoo permanently removes THC-COOH from your hair. Your chances of passing the hair drug test should be good unless you were a heavy user which might result in re-contaminating your hair. where can I find the aloe shampoo? Kaytlyn.. You can find the aloe shampoo here. If you have time until your hair drug test, I always recommend using a home hair drug test before the actual drug test. This will show if you can pass your hair drug test or not. I used the macujo method 3 weeks before I actually had a hair follicle test I stopped because it was so harsh on my hair so I didn’t continue washing my hair with the method at all. Then right before my test 3 days I’d say I used the method 1 time Saturday night 3 times Sunday night and 3/4 times that Monday I had to take the text plus used ultra clean right after. Did it make a difference that I used the method 3 weeks prior then followed up after those 3 weeks multiple times? Basically is the macujo method temporary for a couple days or permanent to where u could stop and how ever long I used it for has already been affective to my hair but me using multiple times before my test made my hair even more cleaner? Please reply thanks! Ty..For heavy user we always recommend completing a combination of two hair cleansing methods: Macujo and Aloe Toxin Rid Treatment. 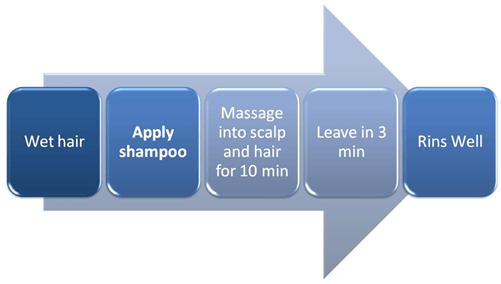 Users should wash their hair with Aloe Toxin Rid shampoo for some time and then perform the Macujo method 3 days prior to their hair drug test with the Ultra Clean shampoo used on the day of the test. In order to avoid recontamination the Macujo method should be performed at least 5 times in 3 days as close as possible to the hair drug test. If your hair can handle it (8-10) more is better during these 3 days. So, if you were a heavy user, performing the Macujo method 3 weeks before your test could help to drop your THC-COOH levels a bit in your hair sample. However, because your body still contained THC your hair will be re-contaminated, we do not recommend performing the Macujo method if your hair drug test is not in 3-4 days as this method is pretty tough for the hair and scalp. However, we recommend using Aloe Toxin Rid shampoo as an everyday shampoo instead. And use the Macujo method 3 days prior to your hair drug test. Light/moderate users can perform the Macujo method as soon as they test negative on a home urine drug test (no hair recontamination issue). After performing the combination of the two hair cleansing methods: Macujo and Aloe Toxin Rid Treatment following all instructions and recommendations, your hair should be clean from THC or other substances for good. I always recommend performing a hair home drug test. This should help to know how effective the hair cleansing methods were in your case. Hope I covered all of your questions. I have a hair follicle test on Monday. I just got my hair cut. It’s pretty short on the sides and the back but it’s about 1-1.5 inches on top. Will they take the hair on top or will they use other parts of my body? 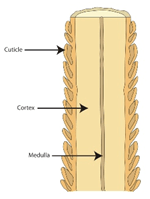 Looking for help..The Lab collector most likely will try to take the hair sample from the top of your head where your hair is 1.5 inches long. This will help them to check your 3 months smoking history. I would recommend to keep shaving all body hair in order to eliminate the chance of taking any other body hair sample. Good luck with your test and hope this answers your question. I am a heavy user for years, everyday about 10 hits from my one hitter and maybe a j or two. I typically go through an eighth in 5 days. I found out about the hair test 5 days in advance. I quit right away. I overnighted the Old Style Aloe Toxin Rid Shampoo and started right away combining with the Majuco method. I’m doing at least 5 times a day, I should get 18-20 washes in. This is my dream job and had no idea it was a hair test. Is this going to work? I am so nervous. WorriedInIndiana..If you follow the methods instructions and our recommendations precisely, you should have a good chance of passing your hair drug test. Don’t forget using Ultra Clean shampoo on your drug test day as well. If you have a chance, after performing multiple hair cleansing methods, I would recommend performing an express home hair drug test. This will help you to find where you stand with your THC-COOH levels and what you should do next. Good luck with your test and let me know how it went. I am pulling for you. I haven’t smoked since 2012. I took one hit weed Saturday and next Friday I have a hair follicle test. I bought the old style aloe and the ultra clean and started using it. Should I do the Macjuo method? Nick..I think your chances of passing a hair drug test are pretty good even without using any of the hair cleansing methods. But to be on the safe side, you can continue washing your hair with Aloe Toxin Rid shampoo and use the Ultra Clean shampoo on your drug test day. i have been clean for 4 weeks today, i work out a lot and hit the steam at least a couple times a week. i was a heavy smoker. i do not have a test coming up at the moment but i graduate in may and i am applying for jobs. i do not want to take any chances, so i am going to buy the aloe toxin rid shampoo, but how should i use to make sure i am clean when the time comes? could be a month from now or maybe weeks. Jay..You made the right choice to cleanse your hair properly as there is a high probability that THC-COOH levels in your hair sample will exceed the cutoff levels because of your heavy THC exposure. Over the past several years of obtaining user’ feedback and comments, we have seen that the best outcome that hair drug test users have achieved is when they combine the two proven hair cleansing methods: the Macujo and Aloe Toxin Rid Treatment method with the Ultra Clean shampoo used on the day of the drug test. Once treated with the shampoos are you permanently toxin free until you do anything to cause you not to be? And also can it be detected in a test? Chris..If you already test negative on a home urine drug test (no hair recontamination issue), after properly cleansing your hair with a combination of two hair cleansing methods (Macujo+Aloe Toxin Rid Treatment), your hair should be toxin free for good until your start using prohibited substances again. The Macujo and Aloe Toxin Rid Treatment methods permanently remove toxins from your hair if you followed the method instructions precisely and used the right method components. A hair drug test is performed in order to detect the presence of prohibited substances in a hair sample. So, even if the Labs detect the presence of Aloe Toxin Rid shampoo components in a tested hair sample, Aloe Toxin Rid shampoo components are not on the list of prohibited substances. So I just learned today that I have to go for hair follicle drug screen. The test is scheduled for next Friday (It’s Wednesday today), if I receive the Aloe toxin rid shampoo if by this Friday and initiate the detox including the Macujo method the same day what is the likelihood that I’ll pass? I’m a daily user 1-3 dutches a night. I also decided to abstain from any further use for a while generally. Last toke was last night before bed. Mia..I would recommend adding Aloe Toxin Rid shampoo everyday with Ultra Clean shampoo on your drug test day to your Macujo method regiment. If you follow the hair cleansing method instructions and our recommendations to the letter and keep abstaining from marijuana, your odds of passing the hair drug test should be good. If you have enough time until your test, after performing multiple hair cleansing methods, I always recommend using an express home hair drug test. This will show where you stand and what you should do next. infrequent user but i purchased the aloe toxin rid and ultra clean, used the shampoo twice the day before and the ultra clean the day of my interview. this stuff really works passed my drug screen when i was hired for the position. 2-3 weeks later random drug test and i passed again. anyone looking to pass use these products that i had named above. i did alot of research before i spent the couple hundred bucks. dont be using the cheap stuff out there it will not work. hope my post will help anyone looking for a solution. Nicole.. Thanks for sharing your story and congratulations with your rest results. This will help other users get through similar situations. I have a hair test tomorrow. Ive done mucijo and toxin rid for the last 2 days by the time the test comes i would have done it 10 times. I am a heavy smoker i did a couple bumbs of coke last week and some perks on saturday. Should this work for me? Tyler..If you follow the hair cleansing methods instructions and our recommendations precisely, your chances of passing the hair drug test should be good. Don’t forget using Ultra Clean shampoo on your drug test day as well. So I did cocaine about a week ago also I messed with some Vicodin and Oxys off and on the past month, I stopped smoking pot about 2 months ago and I have a hair follicle test in the next couple months not sure of the exact date. If I do the Mac process with the aloe shampoo do u think I will pass my test? Or am I sol since I just did cocain and painers. Also I rarely do Coke and when I did it was a very small amount. Pain pills I have done more frequently. Rafael..If you already test negative on a home urine drug test for THC (no hair recontamination issue), you can perform the Macujo method anytime now. Other used substances will not stay in your system very long, so it shouldn’t be a hair recontamination issue. In this case, after properly performing the Macujo method at least 8-12 times plus using Aloe Toxin Rid shampoo twice a day, you have a good chance to become clean for good. However, only using a home hair drug test after performing multiple hair cleansing methods will show where you stand and what you should do next. If any of the used substances levels still exceed cutoff levels, you should keep cleansing your hair following the hair cleansing methods instructions and using the right products.